Yesterday, Slash Film reported that Warner Bros. is beginning its campaign to push for a supporting actor nomination for Heath Ledger for his role as the Joker in the Dark Knight. Possible contention in the category may include Michael Shannon (Revolutionary Road), Phillip Seymour Hoffman (Doubt), John Malkovich (Changeling), Ralph Fiennes (The Duchess), Robert Downey Jr. (Tropic Thunder), and Brad Pitt (Burn After Reading. 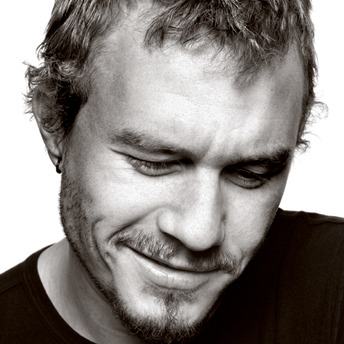 Oscar buzz for Ledger’s performance has been steady and strong since the actor’s tragic death earlier this year. Ledger’s nomination is considered ‘a given’ by many insiders, but I hasten to add that the nomination would be damn well deserved. As for a win? Having seen every one of the films mentioned by the Slash Film article, the competition would be heavy indeed. (Particularly Fiennes’ role in The Duchess.) But even should his performance not garner Oscar gold, his performance is already the stuff of legend.